I received a phone call yesterday from Frank Manning, who asked me if I was prepared for Hurricane Patricia’s onslaught of Texas. I told him the path of the storm was projected to hit the state further east and south of the Big Bend, and that in the past, hurricanes from Mexico had usually petered out my the time they got this far north. But this was a category 5 storm at the point of landfall, and purported to be “the worst in recorded history” in the Western Hemisphere. 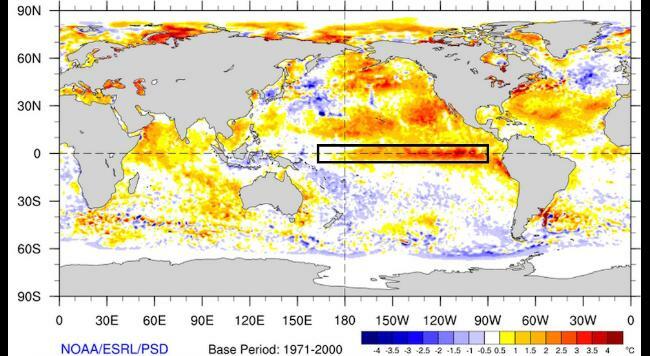 By the time it reaches Texas, however, it is projected to be just a tropical depression. The eye of the hurricane made landfall last night at 6:15 pm CDT near Cuixmala in Jalisco state of southwest Mexico. Maximum sustained winds at landfall were estimated at 165 mph, still firmly within the Category 5 range. 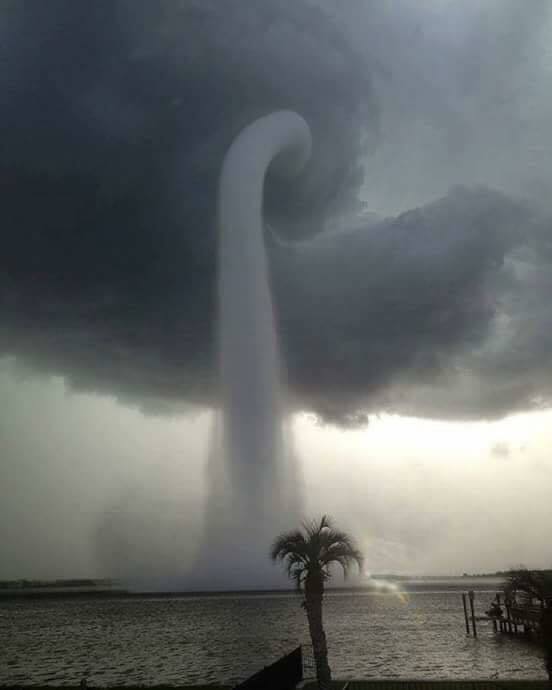 As Hurricane Patricia now moves over Mexico, the mountains of the country are causing the storm to quickly weaken. Early this morning, Mexican President Enrique Peña Nieto delivered some very good news: The hurricane had caused less damage than what would be expected for a storm of that intensity, and the government had received no reports of deaths. Still, the hurricane is moving through a mountainous region dotted with hamlets that are at risk for dangerous mudslides and flash floods. By 4 am this morning, the center of the hurricane was located 50 miles south-southwest of Zacatecas, Mexico, and was moving toward the north-northeast at 21 mph. Maximum sustained winds had fallen to 75 mph, making Patricia a minimal Category 1. By posting time at midday, the winds had fallen to 45 mph. In the Big Bend, we’re catching just the back-end remnants of the storm. Some areas of Texas to the east and south have reported over a foot of rain, but the effects here have been minimal. Even if we get through this storm unscathed, there’s plenty more weather coming that can be angst-inducing. 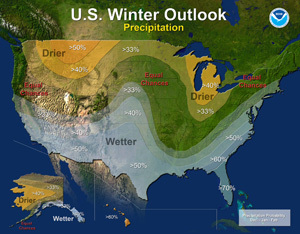 Last week The National Oceanic and Atmospheric Administration (NOAA) issued its winter 2015-2016 outlook. So my hopes for a mild winter in West Texas are dashed. 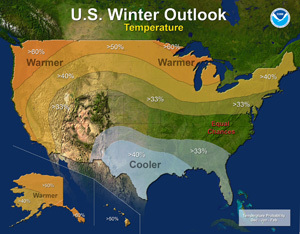 As you see from the maps to the right, winter in West Texas is predicted to be cooler-and-wetter-than-usual. It looks like I may be buying more propane than normal for heating—or at least, getting no relief. I know, depending on where you live, I might be striking you as quite the cry baby. Hell, I still listen to Minnesota Public Radio and one of my great sources of satisfaction is comparing our weather to theirs. I know I really am better-off than most. But remember: our houses are not insulated. My windows leak like a sieve when it’s windy, and their single panes of glass radiate the cold. My adobe walls are thicker but little better. Like I’ve said before: life at Estrella Vista is one step above camping out. Note to self: I like this a lot. I like this a lot. I could still be in Minnesota. Yesiree, I do like this a lot.